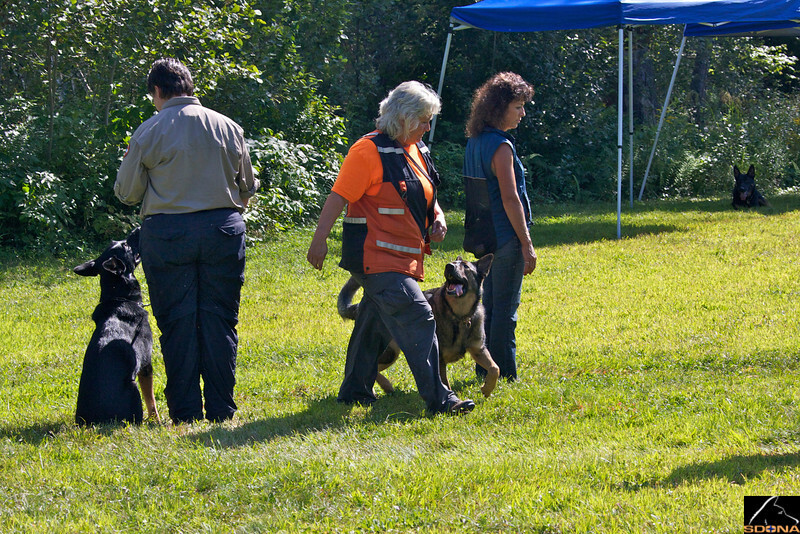 CAST (Canine Alert Search Teams) held on August 16-18 an IRO Trial with judges Walter Hoffman and Kurt Schaefer. Of the 15 entrants, only 5 passed their tests: 2 at the "E" level (both in tracking) and 3 at the "A" level (rubble, area and tracking). The event was held in Littleton, MA, Bennington, Hancock and Peterborough, NH. Members of CAST, SDONA and from a S. American NRO competed.